Video of F-STOPS vs T-STOPS! What’s the difference? Are they the same? If you spend your whole life shooting photo and never trying video, you might never even hear of a T-stop. However, they can tell you some very helpful information about your lenses. Coming to you from ZY Productions, this great video talks about the differences between f-stops and T-stops. Whereas an f-stop is the ratio of the focal length to the diameter of the entrance pupil, the T-stop is the f-stop divided by the square root of the lens' transmittance. In other words, you can think of the T-stop as the f-stop adjusted to account for light losses as light passes through the lens elements on its way to the sensor. 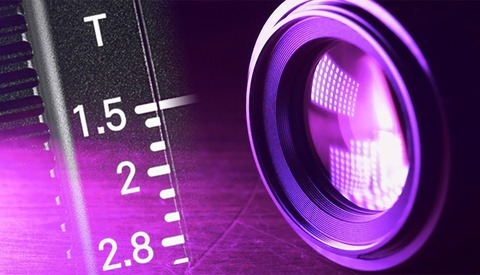 Note that the T-stop is only concerned with the effective f-stop as related to light transmittance; for depth of field purposes, the normal f-stop is still the correct measure. In addition to what the video mentions, T-stops are particularly useful to filmmakers because they ensure consistency in exposure across multiple scenes, lighting setups, lenses, angles, etc. While such inconsistencies could be corrected in post, it saves a lot of time and production money to get them right in camera. Check out the video above for more on the topic. 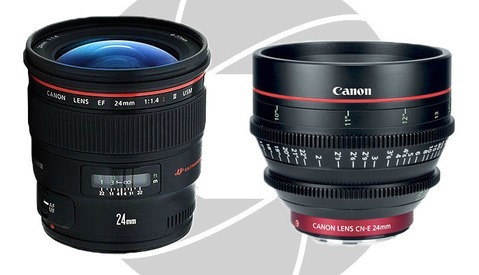 Why Cinema Lenses Are Measured With T-Stops And What's the Difference With An F-Stop? I think T-stops mattered more in the film days than they do now in the digital age, because you can immediately measure the exposure hitting the sensor and compensate as needed. So if you were to use the two lenses used here as an example on two identical cameras, you can immediately compensate as needed to get the same exposure on both cameras in the field. Of course, modern post would also allow for further adjustments as needed if you didn't do so in the field.